The goaltending this year was much better than expected. No fan could say they were not worried to hear that Anaheim had picked up a 30-year-old rookie from Europe, but Viktor Fasth surprised everyone. He now has one of the best rookie starts for a goalie in the NHL since Ray Emery in the 2003-2004 season. Overall, he ranked eighth in the West and 11th in the entire league–only slightly better than Jonas Hiller who ranked 10th in the conference and 14th overall in the regular season. Though there were many good things to be seen from both goalies, it became apparent later on in the season that their collective talent was inconsistent. Hiller has been with the team for seven seasons and anyone paying attention to his habits will tell you that number one can play an amazing game until the moment a goal slips past him; his head tilts back in disappointment and from that point forward, he seems to lose all hope that he can block any shot coming his way. He is his worst critic at times and it takes a major toll on the outlook of the game. Whereas Fasth remains a bit of a mystery; one game he will completely shutout the opposing team with what seems like relative ease, but the next there doesn’t seem to be a shot he can block. It all proves to be very frustrating for fans and one can’t help but look to Pete Peeters, the Ducks goaltending consultant of four years. 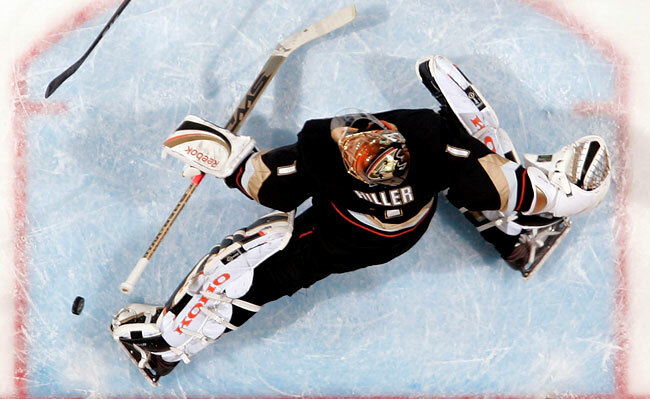 Will new goaltending coach Dwayne Roloson help Jonas Hiller regain his form from previous seasons? It took a total of five days for the organization to announce who would be replacing Peeters, which left Ducks fans to wonder just what would become of their beloved goaltenders; fans have been sorely disappointed before, time and time again, and so it was only natural that a slight panic would arise after such an announcement. Who would replace him? Would this person be qualified to handle such a position? Would the team crumble just as quickly as it had rebuilt itself this season? On June 10, it was announced that Dwayne Roloson would become the new goaltending consultant for the 2013-2014 season. Though at first, Peeters’ retirement sent nervousness throughout the world of Ducks hockey, it seems our net minders will be in capable hands for the upcoming season–something that only time will tell for sure. Positive changes such as these are needed and one can only hope there are more to come. 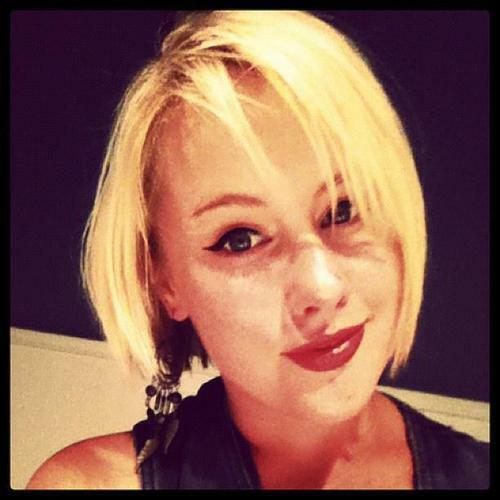 My name is Alyssa Burns and I am an eighteen year-old, Southern California Native. I currently work for the city of Corona's Parks and Community Services department. I was born and raised in the Inland Empire; that means--yep, you guessed it!--I am an Anaheim Ducks fan. Hockey is not simply a sport for me, it is a part of my family's dynamic and a part of myself.